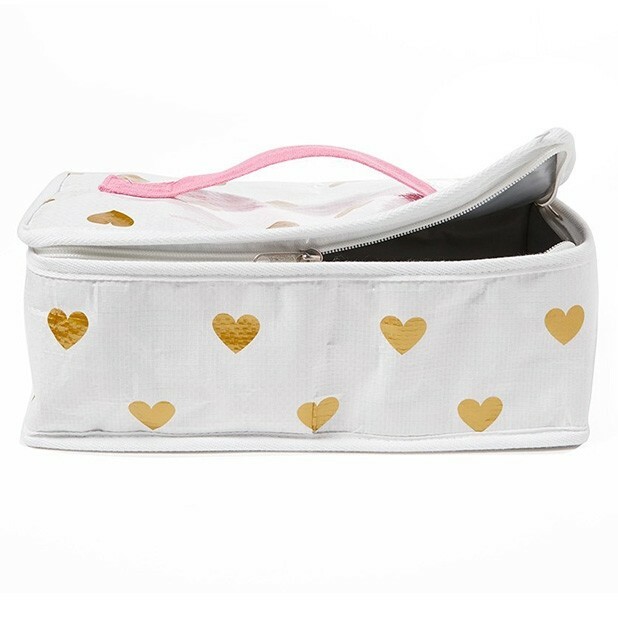 Be eco chic with this insulated lunch bag by Project Ten. Stand out from the crowd with these eye catch designs. Project Ten is an Australian company that design and manufacture stylish shopper bags from sturdy, long lasting materials. A great alternative to a standard lunch bag, these eye catching designs offer practicality and strength. These insulated lunch bags are the perfect way to keep your food safe and cool over summer. They fold down relatively flat when not in use, so take up minimal storage room. Introduced to this brand by a staff member who has been using the same Project Ten bags for a number of years, surviving swimming lessons, beach trips and camping holidays with kids in tow. Manufactured using polyprolene fabric and feature a sturdy, soft handle and a zip closure. These bags have a multitude of uses including toiletry or makeup bag, swimming cap and google storage or holding all your sunscreens and water for a day at the beach. Simply pop in a resuable ice pack, and you're good to go. Project Ten is where fun and fashion meets functionality. This Australian owned and designed range of reusable shopping bags and insulated cooler bags are made from tough and durable woven polypropylene and are built to outlast budget copies. We still own and use bags that we've had for years.Our two lunch bags are similar volume but a different shape. The shopping bags are sturdy, around the size of the supermarket cubes and stand up easily for packing.